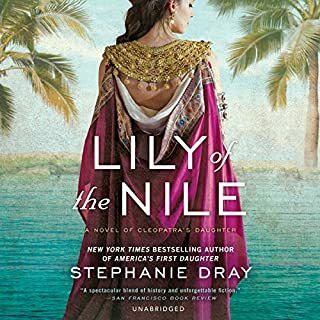 Delivered to the household of Octavian's sister, the siblings cling to each other and to the hope that they will return one day to their rightful place on the throne of Egypt. As they come of age, they are buffeted by the personal ambitions of Octavian's family and court, by the ever-present threat of slave rebellion, and by the longings and desires deep within their own hearts. Selene's narrative is animated by the concerns of a young girl in any time and place---the possibility of finding love, the pull of friendship and family, and the pursuit of her unique interests and talents. While coping with the loss of both her family and her ancestral kingdom, Selene must find a path around the dangers of a foreign land. Her accounts of life in Rome are filled with historical details that vividly capture both the glories and horrors of those times. I like a good story. 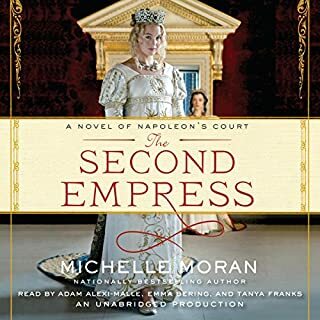 This one has a bit of everything, war, history, romance, royalty, slavery - so in a world of dissapointing stories lately, i give it a good solid B plus. The main character is likable,the narration is easy on the ears and the story does hold you. I don't think i'll relisten to it over and over or anything, but it was a good read. Which is saying a lot more than it sounds. I expected this book to be a lot more dramatic. Instead it's just the story of a girl who grows up in the palaces of Rome. I found the characters hard to follow and the plot really slow. It did get more interesting towards the end, but it's a lot to get through. It was interesting enough to finish, and the factual evidence in the end made the story worth reading. I was surprised by the number of good reviews this book has gotten. It's at best mediocre writing, with zero character development and no sense of even taking place in another era, much less historical accuracy. I wish I had seen the Amazon review that likened the title character (who tells the story) to a high school girl from modern Boston who fell asleep in history class the day they covered the Roman empire. Wanda McCaddon is a pro whose audio work I've previously enjoyed, but here her narration captures Selena perfectly--that is, it's annoying. Save your credit. Michelle Moran has certainly done some research, and she integrates her bits of found historical knowledge into this story. However, this story lacks a real arc, feeling of purpose, or fulfilling conclusion. I found the whole novel rather depressing, without an ounce of hope. While I found many of the ideas interesting, and a much different angle on Roman culture than I've ever experienced before (slave vs. freeman vs. citizen structure was really interesting) as a story I found this really lacking. 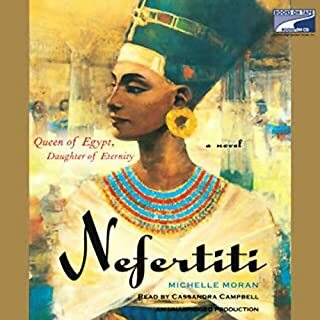 If you are interested in coming of age historical fiction, I actually quite enjoy Michelle Moran's Heretic Queen. What made the experience of listening to Cleopatra's Daughter the most enjoyable? 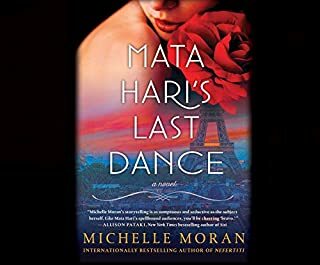 I listened to this book on a cross country road trip with my sister-in-law, and I loved chatting about different cultural aspects the book covered. The age at which a child becomes an adult in this time period is much younger than now, and we found that royal/noble children were forced to grow up even more quickly. The book does a nice job of highlighting this coming of age. Juba! His character is much more complex than I originally thought. No, I think I needed time to process each section of the book - the material was fairly dense and we sometimes had to jog our memories to recall who a specific character was. I think if we had listened to it in one sitting, the characters would have jumbled together. 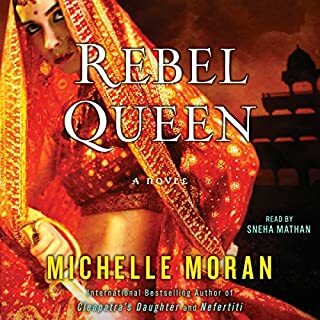 This novel covers quite a few deep themes: slavery, class, conquest over an enemy, love, teenage pregnancy, and more - it does rush through some of them, but overall does a nice job tackling these big topics. I'm usually a fan of historical fiction, but I didn't enjoy this book. I don't really mind a slow paced story as long as it's interesting, and unfortunately this book was not - it was just bore. I also felt that at times the narrator made the main character overly whiney, which I found made her even less engaging. Well,I started this one time and quit about 45 minutes in and then went back to it recently to give it a second chance. It takes a while to get into. It is not an Egyptian story. It's the story of Cleopatra's children when they are taken to Rome by Octavian. Good detail, interesting story, several plot points added that are fabricated but good addition. Wraps up nice and the afterward has good historical detail tying it all together. I liked the ending, but the story kind of meandered and it took forever to get there. Light and pretty good, but nothing spectatular. Good for a boring commute. 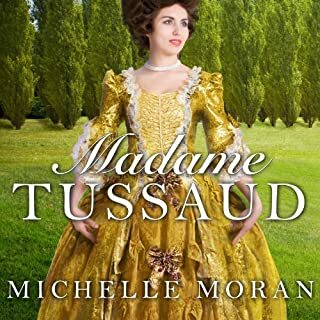 Michelle Moran books have never seized to amaze me. with intriguing characters. I can't wait to see it go to the big screen! I would love to see this come to life in motion picture! ❤️♥️ love this book and all her books. I am a true fan of Michelle Moran! What a wonderful delight it was to discover this novel. In the opening scenes I was struck by what a different type of book I was reading. Cleopatra as proud, not wanton. Her attempted seduction of Agrippa was from desperation, not licentiousness. She loved Antony. And Antony... I was telling myself that it was stupid to cry so early in a book. I don't think I was even out of the first chapter. But so many authors focus solely on his debauchery. Yet Moran, in a few brief paragraphs, wrote a man too human to live. Who loved his drink, his game, his wife and his children. She wrote Antony exactly as I had always imagined him. A real mensch. I could have cheered at the details inserted into the book, such as the fact that Cleopatra had only had two husbands, and was in no way the harlot who has come down to us through a 2000 year old smear campaign. I truly appreciated Moran's point that she was 'more chaste' than a Roman woman, who did not marry for love, but married far more often. And it was such a great detail to see how Alexander was a gifted horse rider and gambler, in echoes of his father. So many authors kill off their character for effect, and never feel the need to dwell on the deaths after they've served their purpose. 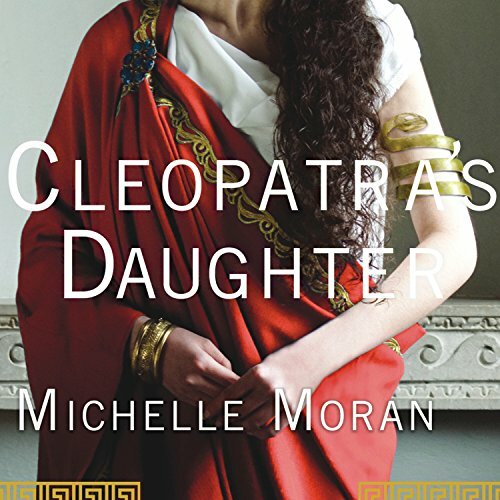 But with 'Cleopatra's Daughter,' I felt Antony and Cleopatra as alive in the later chapters as in the earlier, because they were carried in the hearts of their children. That is one of the things most admirable about this book. Selene said a line that struck to my core and reverberated through the entire book: 'I don't think unhappiness is fated.' She said this to her brother, and I thought it was such a powerful message. Terrible things happen to Moran's characters, but the author always shows their will to persevere. It is both a noble and a very human trait. Not since Lord Bulwer-Lytton's 'Last Days of Pompeii,' have I cared so much about a historical novel and the fate of its protagonists. Finally, the fate of Selene's pink pearls made me cry all over again.